enable commerce. In addition, the book addresses the nature of the problems that the newly democratic, newly market-oriented states face. 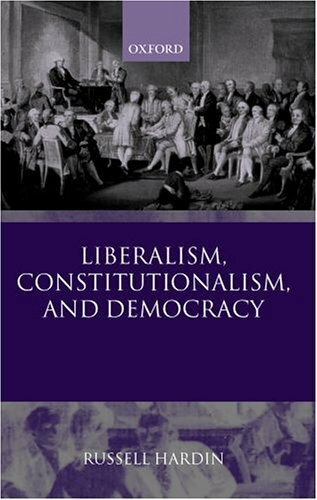 The analysis ofconstitutionalism is based on its workability, not on its intrinsic, normative, or universal appeals. Hardin argues, similarly, there are harsh limits on the possibilities of democracy. In general, democracy works only on the margins of great issues. Indeed, it is inherently a device for regulating marginalpolitical conflicts.